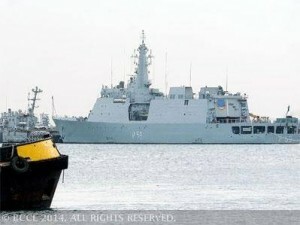 In line with the new government’s policy to promote export of defence hardware, Goa Shipyard Limited today said it has supplied naval equipment to countries such as Myanmar and Mauritius and is pursuing orders from other friendly foreign nations. “Contracts for two Fast Patrol Vessels for Mauritius Coast Guard have been signed along with a contract with its Government for supply of 11 Fast Interceptor Boats for their Coast Guard. Further, contract for construction of Damage Control Simulator for Myanmar Navy has become effective from April 10, 2014,” a GSL release said. “All the projects have been regularly reviewed by the customers and have got excellent reviews. The Company is pursuing more export orders for its proven and much acclaimed products,” GSL Chairman Rear Admiral Shekhar Mital said. He was addressing the Annual General Meeting of the state-owned shipyard, which has registered a jump of Rs 271 crore in its sales figures from last financial year. The firm said it has delivered two 105-m Naval Offshore Patrol Vessels, five glass reinforced plastic (GRP) survey motor boats to Indian Navy and One Fishing Research Vessel to Central Marine Fisheries Research Institute. “During the year, GSL also successfully executed ‘Shore Based Test Facility’ at INS, Hansa, Goa for naval aircraft meant to land at aircraft carriers such as the INS Vikramaditya at sea. It is a unique state-of-the-art facility, which only three countries in the world presently possess,” it said.